Subscribe to get deals from hundreds of merchants including the best of Trip.com! Every Tuesday at 10a.m., Visa x Trip.com gives you a double time-limited airfare offer! Book your flight with a Visa card up to HK$200! Not applicable to flight bookings for multiple destinations or openings and flights to Mainland China. . Promotion date: January 1, 2019 to August 31, 2019. Please always check with the merchant on the validity of the promotion before purchase. Trip.com offers up to HK$700 off upon all hotel bookings at Trip.com with BOC Cards. The offer is valid until 31 August 2019. Enter the promo code at the checkout to get the offer. Please always check with the merchant on the validity of the promotion before purchase. Every Tuesday at 10a.m., Visa x Trip.com gives you a double time-limited airfare offer! Book your flight with a Visa card up to HK$100! Not applicable to flight bookings for multiple destinations or openings and flights to Mainland China. . Promotion date: January 1, 2019 to August 31, 2019. Please always check with the merchant on the validity of the promotion before purchase. Trip.com offers up to HK$500 with a minimum spend of HK$5000 USING BOC Credit Card. The offer is valid until 31 August 2019. Get the deal. Please always check with the merchant on the validity of the promotion before purchase. Trip.com offers up to $10 off when you pay with UnionPay TravelMate Credit Cards. Promo codes can only be claimed by entering the first 6 digits of a valid UnionPay TravelMate credit card. Promo codes can only be used when paying in USD or CNY with a valid UnionPay TravelMate credit card. The offer is valid until 31 May 2019. Get the deal. Please always check with the merchant on the validity of the promotion before purchase. Trip.com offers up to $15 off when you pay with UnionPay Platinum Credit Cards. Promo codes can only be claimed by entering the first 6 digits of a valid UnionPay Platinum credit card. Promo codes can only be used when paying in USD or CNY with a valid UnionPay Platinum. The offer is valid until 31 May 2019. Get the deal. Please always check with the merchant on the validity of the promotion before purchase. Trip.com offers up to HK$200 with a minimum spend of HK$2,000 using BOC Card. The offer is valid until 31 August 2019. Get the deal. Please always check with the merchant on the validity of the promotion before purchase. Trip.com offers up to $30 off discount on flights for UnionPay users. Promotion period is from June 1, 2018 to May 31, 2019. Promotion Platform is Trip.com English (United States) website and app. Promo codes can only be claimed by entering the first 6 digits of a valid UnionPay Platinum/UnionPay Diamond/UnionPay TravelMate credit card. After claiming a promo code, it can be selected and applied to a booking when filling in the passenger info. Promo codes can only be used when paying in USD or CNY with a valid UnionPay Platinum/UnionPay Diamond/UnionPay TravelMate credit card. Promo codes cannot be used on bookings that only include flights within mainland China. T&C apply. Please always check with the merchant on the validity of the promotion before purchase. Trip.com offers up to 30% off on Hotel bookings worldwide. The offer is valid until 30 April 2019. Get the deal. Please always check with the merchant on the validity of the promotion before purchase. Save up to 69% off on floral hotel discounts. The offer is valid until 30 April 2019. Get the deal. Please always check with the merchant on the validity of the promotion before purchase. Trip.com offers up to 30% off with Trip.com Member Deals. The offer is valid until 30 April 2019. Get the deal. Please always check with the merchant on the validity of the promotion before purchase. Get up to 45% off on your accommodation in Sydney hotels- Book Now! Trip.com offers up to 45% off on your accommodation in Sydney hotels. The offer is valid until 30 April 2019. Get the deal. Please always check with the merchant on the validity of the promotion before purchase. Trip.com offers up to 35% off on hotel room booking in Bangkok. The offer is valid until 30 April 2019. Get the deal. Please always check with the merchant on the validity of the promotion before purchase. Grab up to 40% off on hotel bookings in London- Book now! Trip.com offers up to 40% off on hotel bookings in London. The offer is valid until 30 April 2019. Get the deal. Please always check with the merchant on the validity of the promotion before purchase. Book for your accommodation in Dubai now and get up to 40% off. The offer is valid until 30 April 2019. Get the deal. Please always check with the merchant on the validity of the promotion before purchase. Book hotels in Tokyo and get up to 52% off. The offer is valid until 30 April 2019. Get the deal. Please always check with the merchant on the validity of the promotion before purchase. Trip.com offers up to 8% off on hotel bookings when you Explore Singapore. The offer is valid until 30 April 2019. Get the deal. Please always check with the merchant on the validity of the promotion before purchase. Trip.com offers up to 40% off in South Korea Hotel Booking. The offer is valid until 30 April 2019. Get the deal. Please always check with the merchant on the validity of the promotion before purchase. Book hotels & get up to 30% off. The offer is valid until 31 March 2019. Get the deal.. Please always check with the merchant on the validity of the promotion before purchase. Trip.com offers up to 65% off on Hotels and an extra of up to HK$330 off. The offer is valid on prepaid hotels only. The offer is valid until 31 March 2019. Enter the promo code at the checkout to get the offer. Please always check with the merchant on the validity of the promotion before purchase. Trip.com offers up to HK$250 off on hotel bookings exclusive for Hang Seng Credit Card. The offer is valid until 31 March 2019.. Please always check with the merchant on the validity of the promotion before purchase. Trip.com offers HKD$100 off on flight bookings with Visa cards. The promotion is a weekly offer which is released every Tuesday 10 am, with quotas applied. It is available until 31 December 2018. Enter the promo code at the checkout to get the offer. Please always check with the merchant on the validity of the promotion before purchase. Trip.com offers up to 5% off on hotels worldwide + great prices on flights. The offer is valid until 25 December 2018. Get the deal. Please always check with the merchant on the validity of the promotion before purchase. Looking for the best Ctrip HK promotion code? Or are you curious about the Ctrip cheap flights, hotels, vacation packages and train tickets? You're at the right place to get yourself the best deal! Ctrip.com, also known as Trip.com, is an online travel agency owned by Ctrip.com - China’s largest online travel agency. The recent acquisiton of the Trip.com domain means that travellers now get a wider reach to even more countries at great prices. The Ctrip search engine can now offer travel bookings to over 5,000 cities in 200 countries! With more than 1.2 million hotel rooms in over 200 countries and regions, Ctrip.com (now know as Trip.com) have a great hotel network to give you fantastic choices for accomodation. You can also select from over 2 million flight routes going to more than 5,000 cities all over the world. Ctrip.com (now know as Trip.com) offers their services through an advanced transaction using their application, website and a toll-free 24-hour customer service center. The most popular promotion on Ctrip.com (now know as Trip.com) is the Trip.com HK VISA Super Tuesday deal. This is a weekly flight offer where a specific flight destination and a set of promo code will be released every tuesday at 10:00 am. It's on-going till 31 December 2018. Get HK$100 off when you pay with Visa upon flight bookings over HK$1,000! Quotas apply and it's subject to a first-come-first-served basis so be quick! Apart from the Trip.com VISA Super Tuesday deal, another popular promotion is the Ctrip BEA Credit Card Offer so be sure to look it up before you check out, especially if you are using a BEA credit card. Not to worry if you don't have a specific bank card. Here, you can also find many Ctrip Cheap Flights, Hotels, Vacation Packages, Trains and more to enjoy the biggest savings on your next trip? Ctrip.com (Now know as Trip.com) have you covered with their various promotion codes. Their easy-to-use website and app, along with 24-hour customer service, booking your next trip could not be more simple. With Ctrip.com, quality travel services in over a dozen languages including English, Mandarin, Cantonese, Japanese, Korean, German, French, and Spanish are just a call—or click—away. Ctrip International was founded in 1999 in Shanghai, China. It is a leading website for traveling services such as hotel reservations, tickets for planes & trains, tours, and travel management on the corporate level. Their market cap has increased by 30+ million since they first were listed on NASDAQ Stock Exchange in 2003. In 2014, the company’s gross transaction was valued at US$24.5 billion and their revenue for commission reached US$ 1.3 billion. In 2009 and 2010, the company invested in Wing On Travel in Hong Kong and ezTravel in Taiwan, expanding their coverage to Hong Kong, Taiwan, and Macau in addition to other destinations all over Asia. Ctrip then again invested in ToursForFun.com in 2014, making them available in North America. 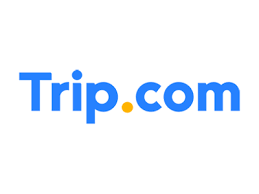 Trip.com was first launched in late 2017, and became their main website for international audiences. Why use Ctrip / Trip.com’s mobile application? Well they have 1,200,000 hotels in more than 200 countries & flights to over 5,000 cities. With this app, you can manage travel bookings on the go. You can also get real time flight tracking using the application. And lastly, you can book train tickets in seconds. Save up to 50% by using the Ctrip / Trip.com mobile app because of their mobile exclusive deals! Input your departure and arrival cities, departing and arriving dates, how many are in your party, and how many rooms you need. You can choose if you want direct flights only or if you only need a hotel for part of your stay. Now if you start with picking your hotel. On the left, you’ll find filters that can help you find what you need. From neighborhood, property type, or location of where you’re staying. After you booked your ideal hotel room, look for the flights that suits your need. The price flights are usually included with the listed price from previous page. The filter on the left will help you find the flights you need. Don’t forget to use the Ctrip coupon and promo codes here at Cardable to save more when you plan your travels. Here are several reasons why you should use Ctrip as your next travel agency. You can always travel without worry when you know that they are always there for you. Their award-winning customer service speaks multiple languages, with English available for you 24/7 via phone, email, or their mobile application. Their many flight connections makes it easier for you to travel the world. Having almost a flight everywhere, they will get you the right flight at the right price. With hotels all over the globe, getting your room is just a few minutes away. When you use their website, you can see a huge range of of options at great prices. You don’t like flying? Well with Ctrip / Trip.com, booking train tickets for your next travels has never been easier. Their coverage of train destination got you covered! Are you wary about booking your trip online? Well, for Ctrip.com and Trip.com, data security is their number one priority. Whether you want to pay using your credit or debit card, or other third party payments, your data are always safe with them. Lastly, when you use their mobile app, your experience are made convenient. It’s fast, simple, and available for iOS and Android. So, next time you’re wondering what to use to book your travels, go with Ctrip.com. Do check back on this page frequently for the best Ctrip HK promotion codes and book yourself Ctrip cheap flights, hotels, vacation packages and train tickets!